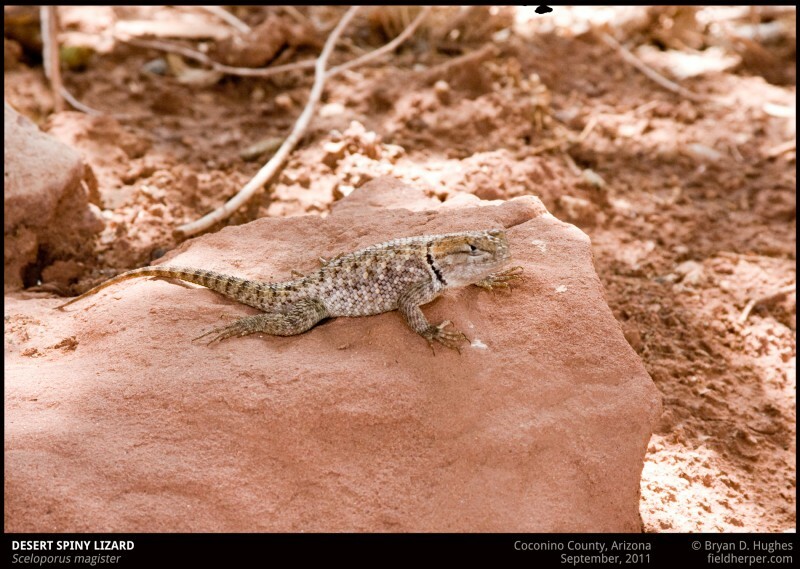 Desert lizards get pretty big, and make quite a bit of sound in the bushes while I’m up North looking for Grand Canyon rattlesnakes. This is one of those that came out to check me out while searching a couple of years ago. This entry was posted on Tuesday, October 21st, 2014 at 8:50 am	and is filed under Lizards. You can follow any responses to this entry through the RSS 2.0 feed. You can leave a response, or trackback from your own site.